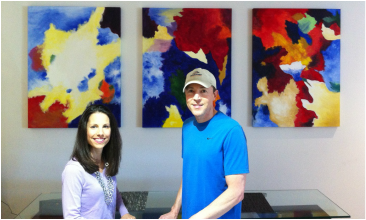 Jeanne and Graham commissioned Gil to paint a modern abstract Triptych. They were thrilled with the results! 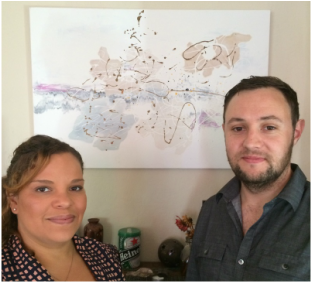 Rori and Job proudly show off their Opus painting by Gil! Shirley loves her colorful Napa Valley vineyard landscape. Jeanne is really happy with this painting of Naturno, Italy, one of 4 paintings she purchased from Gil.